A recent study revealed that the age-old practice of fasting can boost immunity and control intestinal inflammation. The study says that limiting nutrients would be a great booster of vaccine-induced immunity and protective of intestinal inflammation. In fact, ‘Caloric Restriction (CR)’, in the form of fasting has been used in Ayurveda, Homeopathy, and Naturopathy for treating various ailments, although a complete understanding of how the CR works is not known to many, says Nooruddin Khan from Hyderabad Central University, who form part of the study. The team of researchers, headed by Bali Pulendran from Emory University, Atlanta, USA found a mechanism of body’s ability to adapt to nutrient scarcity. It appeared that a low protein diet or drugs that mimic its effect on immune cells may be tools for treatment of inflammatory bowel diseases like Crohn’s disease or Ulcerative Colitis. The work has been published in the journal ‘Nature’ on 16th March. Ayurveda says fasting can kindle the digestive fire and eliminate accumulated toxins from the body. Fasting also eliminates gas, improves mental clarity, makes the body lighter, regularizes bowel movement, and preserves overall health. Ayurveda recommends short-term regular fasting, than in-frequent long-term fasting. This implies fasting on the same day every week, or setting aside few days a month to fast depending on your body constitution or cleansing requirements. However, avoiding food or water for prolonged periods of time depletes body tissues, leading to imbalance of doshas. 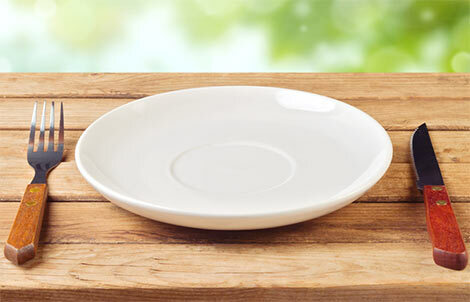 Fasting can be of different types like consuming only light easily digestible foods, An ‘only’ fruit or vegetable juice diet, drinking only water and herbal teas by totally abstaining from solid foods, and abstinence from both food and water. To determine the appropriate type and duration of a fast, you should take into account your digestive strength, your constitution, toxin levels and overall vitality. The constitution of an individual plays a vital role when fasting. For instance, a person of Vata constitution should not fast for more than three days, as fasting more than this can cause vitiation of vata leading to anxiety, nervousness and weakness. Similarly people with Pitta constitution should not fast for more than four days, as it will aggravate Pitta, causing other reactions like anger, hatred and dizziness. But, people with kapha constitution may not feel much unpleasantness even when on a prolonged fast, as it improves their sense of lightness and awareness. Do not ever deplete your energy during a fast. In case you have a chronic illness or diabetes, we suggest you consult an Ayurvedic practitioner before following the fasting practice. Fasting should be observed only after taking into consideration a person’s physical strength and stamina. Fasting is sometimes recommended during cold, fever, constipation and arthritic pain. Fasting is also indicated if there are toxins in intestines. A healthy individual can remain on warm water fast at least once a week, as this allows the digestive system to rest. When at rest, the liquid will dissolve the digestive enzymes and the bio-fire will be reduced. During a fast, the digestive fire is rekindled, as there is no food to digest, and hence this fire burns away the accumulated toxins in the intestines. During a fast, herbal tea which includes herbs like ginger, black-pepper, curry, cayenne-pepper may be included as they help in neutralizing toxins in the system, and they re-kindle the bio-fire that burns away toxins. Breaking your fast in the right manner is also equally important. Here, the most important rule to remember is to begin eating again gradually, slowly starting with liquids and slowly working your way up to solid foods.